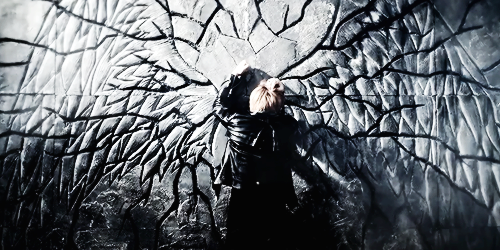 I was totally unprepared for the amount of feels I'd receive from this MV. As was I...Aunnie here giving my 2 cents! The very beginning of this MV we get the feeling that the song will be ballad-ish, something our boys typically are not well known for ... oh boy were we deceived .... yes there is subtle ballad undertone feels in the song, but that doesn't stop B.A.P from losing the powerful hip-hop vibes that they have become known for. Right away Dae Hyun's singing sets the mood for this song. Add Young Jae and Himchan's powerful vocals, Jong Up's dancing (more on this in the video portion below), finally add Yongguk and Zelo's rapping into the mix and you're ready to blow minds. This song is fully packed with just the right mix of soothing vocal rifts, and impactful rapping. The thing about B.A.P that sets them apart from most "Hip-hop" groups in my eyes, is their ability to continuously be able to seamlessly transition between their singing parts and their rapping parts in almost all of their songs. Even when Yong Guk breaks the overall flow to the song in the middle (around 3:19) you only have time to feel slightly disorientated. By the time you really notice said disorientation, you're thrown right back into the chorus. [edit: this break in the song is actually a snippet from their song "Save Me"] Speaking of the chorus . . . LOVE IT!! suuuuuper easy to sing along to ^-^ which, as an I-fan who cannot speak the Korean language, is extremely important. I agree with this as well despite the fact that the song didn't catch me right away but that was mostly due to...other things. Despite the fact that I'm the ballad girl of this duo, no offense Firnlambe, the ballad parts aren't what drew me in. It was Bang Yongguk and Zelo's rap sequences. Zelo has always been a talented rapper--I mean seriously, do you remember Warrior?--but the overall flow of the rapping wasn't as staccato sounding as most rapping usually is. BAP is very good a mixing the flow of the rap verses so that it's not like a bombardment of gunshots to the ears and this song was written more beautifully than most. Oh man the video . . . this video is a whole mess of feels. It's emotional, it's powerful, it's got drama but above all it's got angst. You can feel the swirling emotions from each member, unfortunately the over all flow to the video probably is confusing to those of us who don't speak Korean fluently. I've listed the song lyrics at the end of the post, and it really helps you understand the video better. My initial reaction to the video, which was almost directly after the video posted to YouTube, was one of just pure emotional overload. More than likely due to not having the translated lyrics immediately at my disposal. I quite honestly didn't know what to do with myself. due to the massive amount of fan-girl feels. could have been tears that where shed. The video starts off with Yong Guk running. we're not sure where, and we're not sure why, but its obvious that he's desperately looking for someone/thing. Cut to Dae Hyun, Himchan, and some mysterious girl who will make many a Zelo fan cry out in despair [edit: I figured out that she's from an up and coming TSentertainment un-named rookie girl group]. This short into scene gives us the feeling that this girl is either dead or at least gone, seeing as Himchan is reminiscing of happier times via the old school film projector, buuuut seeing as I don't feel like going into super analyzing mode . . . i'm just gonna stick to describing how the video made me feel initially. Fluid movements timed perfectly with the song. I was really pleased to see that they had decided to not abandon their dance sequences. Though, I'm still hoping to see either a dance practice, or a dance only version because while their live performances are great, the video editing is usually super choppy and tend to focus on the group individually rather than as a whole, so its hard to really take a good look at the entire choreography. The next member we see is Yong Jae, who is in a room filled with mirrors dashing back and forth. Ok ok ok . . . he's not dashing. It's more like he's aimlessly wandering back and forth. But as time moves on, his movement become quicker and more desperate. Yong Jae is followed quickly by shots of Jong Up, Dae Hyun and Zelo in their respective 'drama' locations. The middle of this video has a whole slew of scenes that I certainly could go into more depth about. *Squeezes eyes shut* Did you just...ugh...you did...damn you pelvic thrusts!! Although these pelvic thrusts are better and less sexual than most. But what really stood out the most to me was each members improved acting skills. Particularly their facial expressions. If you've been closely following the group for as long as I have, this should be fairly apparent to you. The range of emotions and their ability to express everything in a way to doesn't come across as awkward, has grown significantly. And, while each of the members have improved, I'm gonna have to say the one that has by far improved the most . . . is Himchan. oh this man . . . quickly has he risen the bias ladder after this MV. He was firmly secured at last place. Never really standing out enough to grab my attention before (as mentioned here), not like Yong Guk and Zelo succeeded in doing. But after watching his acting in this music video, he now firmly sits in 4th place . . . right after Dae Hyun ^-^ I really was impressed by his acting skills, being able to portray such hurt and emotional pain had to have been difficult. 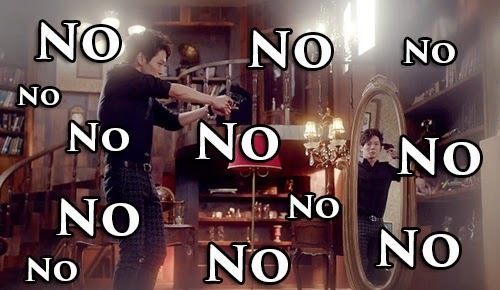 because it never seems to end well for the people wielding guns in Kpop music videos. Now the scenes following the gun discovery, right up until the dramatic ending, didn't stand out to me, they honestly didn't. Although while I do say that, one snippet in particular . . . did. Cue Ragging Zelo Fan Girls Everywhere!!! Remember how I mentioned earlier, that things never seem to work out well for the one holding the gun in a Kpop music video? I wasn't saying that for no reason. Granted Himchan doesn't actually shoot himself (It's more like he shoots the self who can not live with out mysterious girl) but its still an emotional moment for die hard BABYz everywhere. Here ends the MV. Confusing right? Don't forget what I said at the top of the post. The following lyrics allow you to understand what's happening on the screen yet. It really does help. so I recommend you re-watching the MV but have either these lyrics in front of you when you re-watch the video, or go online and find a video with a translation already added to the footage. Personally, for me, the feels in the video were exactly the reason it took me away from the song. I watched the MV and instantaneously said "Nope, don't like the song." However, Firnlambe played it for me in the car once and it was like I'd never heard the song before. I distinctly remember saying "Ohhh..what song is this?" And she gave me her best withering glare. I was so distracted by the MV that I literally could not enjoy the song and turned my back on it before I realized the mistake I was making. In hindsight, it's a very good MV and Himchan's acting skills are exceptional but I'd be lying if my fangirl heart wasn't feeling so bad for the members that I barely heard a word they were singing.